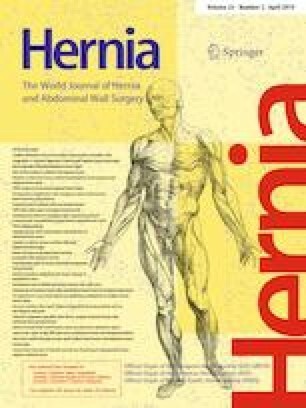 Incisional hernia is the most common complication following abdominal surgery. While mesh repair is common, none of the current meshes mimic the physiology of the abdominal wall. This study compares suture only repair with polypropylene mesh and a prototype of a novel implant (poly-epsilon-caprolactone nanofibers) and their influence on the physiology of an abdominal wall in an animal model. 27 Chinchilla rabbits were divided into six groups based on the type of the implant. Midline abdominal incision was repaired using one of the compared materials with suture alone serving as the control. 6 weeks post-surgery animals were killed and their explanted abdominal wall subjected to biomechanical testing. Both—hysteresis and maximum strength curves showed high elasticity and strength in groups where the novel implant was used. Polypropylene mesh proved as stiff and fragile compared to other groups. Poly-epsilon-caprolactone nanofiber scaffold is able to improve the dynamic properties of healing fascia with no loss of maximum tensile strength when compared to polypropylene mesh in an animal model. The article was supported by the Internal Grant Agency of the Ministry of Health of the Czech Republic (Project no. NV17-32285A). All authors state that they have no conflicts of interests that could potentially influence or bias the submitted work. The Ethical Principles and Guidelines for Scientific Experiments on Animals were respected throughout this study. The maintenance and handling of experimental animals followed EU Council Directive (86/609 EEC), and the animals were treated in accordance with the principles of Care and Use of Animals. The investigation was approved by the Expert Committee of the Institute of Physiology, Academy of Sciences, Prague, CR, and conformed to Czech Animal Protection Law no. 246/92.